Much of my work explores creative responses to the poetics of incomplete knowledge and broken modes of communication. The music of Sydney-based composer Damien Ricketson is characterised by exotic sound-worlds, novel forms and is often integrated with other media. Large-scale staged works have included: The Howling Girls (2018), an opera co-created with director Adena Jacobs exploring trauma and the voice presented by Sydney Chamber Opera and Carriageworks; The Secret Noise (2014), a hybrid music-dance work that was awarded 'Instrumental Work of the Year' in the 2015 Art Music Awards and featured in the Melbourne Festival; and Fractured Again (2010), a multimedia production, which toured China and premiered in the Sydney Festival. 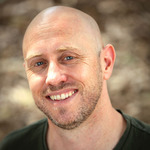 Ricketson studied with renowned Dutch composer Louis Andriessen and has a PhD from the Sydney Conservatorium of Music. Ricketson co-founded, and for 20 years was Co-Artistic Director Ensemble Offspring, a unique arts company dedicated to adventurous new music through whom much of his music has been performed. He is currently the Program Leader of Composition and Music Technology at the Sydney Conservatorium of Music, University of Sydney. The Day after Drowning : an echo on Satie’s Gnossienne No.1 (2016) Commissioned by Zubin Kanga. Rendition clinic : for three percussionists and strobe lights (2015) Commissioned by Speak Percussion. Heaven only empty : for bass clarinet, vibraphone, drumkit & turntable (2014) 'The Secret Noise' was created with support from the Australia Council for the Arts (music & dance initiative), the City of Sydney and Ensemble Offspring’s ‘Noisy Egg Creation Fund’.